A skilled forester and passionate conservationist, Makala Jasper is the co-founder and current CEO of the Mpingo Conservation & Development Initiative, which is widely regarded as one of Tanzania’s most successful conservation organisations. Makala Jasper has a deep understanding not only of forest biodiversity needs, but also of the needs of people who live in and benefit from those forests. His work has helped to conserve large swathes of forest containing threatened tree species while generating a viable, sustainable income stream for local communities. His long association with the Conservation Leadership Programme (CLP) began in 1996, when a CLP-funded project arrived in Tanzania to carry out vital research on the African blackwood or mpingo, a highly prized timber species that was threatened with commercial extinction as a result of overharvesting to supply the musical instrument trade. A forester by profession, Makala had originally graduated from the Sokoine University of Agriculture with a BSc in Forestry before working on carbon credit plantations for a short period. 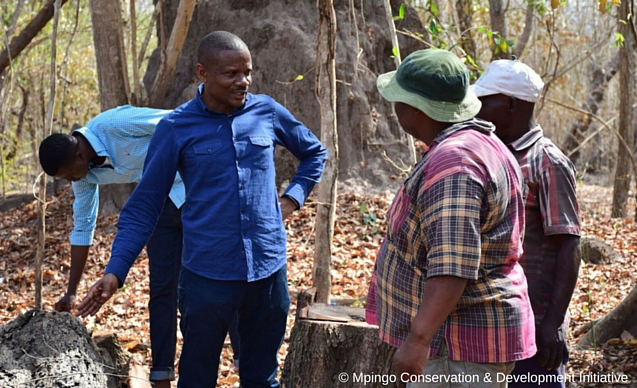 After joining the CLP-funded Mpingo Conservation Project, he eventually assumed the role of Operations Manager in Kilwa, where the project had established a base in order to develop a closer affiliation with the local district council. In 2004, having successfully developed sustainable community-led forestry practices for the beleaguered African blackwood with support from three successive CLP awards worth a combined total of US$75,000, the project team established the Mpingo Conservation & Development Initiative (MCDI), which pioneered community-based forest management in south-eastern Tanzania. 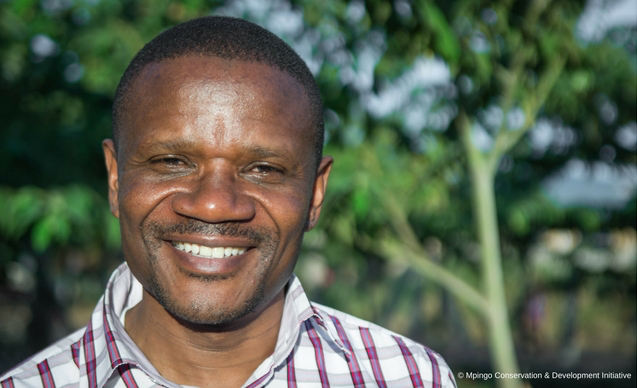 With CLP alumnus Makala at the helm, this organisation is protecting biologically rich miombo woodland and other threatened forest habitat in East Africa by promoting sustainable and socially equitable harvesting of valuable timber stocks and other forest products. Addressing environmental, economic and social issues holistically, it has, to date, provided support to over 55,000 people in 37 impoverished rural communities, and has helped to secure user rights to more than 300,000 hectares of forested habitats. MCDI led the first-ever commercial timber harvest of a community-managed natural forest in Tanzania, which resulted in a more than one hundredfold increase in local earnings per cubic metre. It currently holds the only Forest Stewardship Council certificate in Africa for community-managed natural forest. To date, these community forests have earned local people over US$300,000 in sustainable hardwood timber sales, and income continues to increase. Revenues have been used to improve the livelihoods of local people – including the most marginalised members of those communities – by, for example, creating new water boreholes, building schools, providing school uniforms, constructing a solar-powered marketplace and improving village medical care. 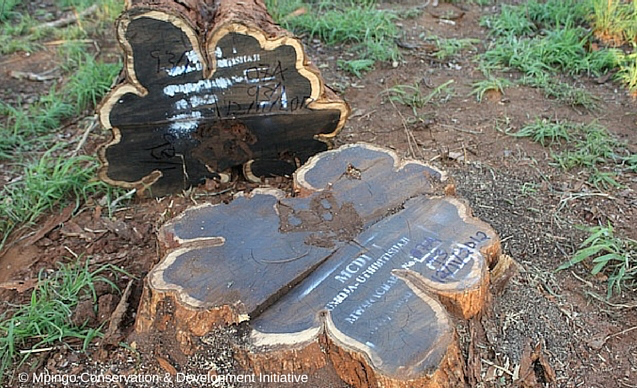 In 2014 Makala added community-based tree planting to MCDI’s already impressive repertoire of work. MCDI now has its own tree nursery in which it nurtures five species of indigenous timber commonly found in the miombo woodlands and high-conservation value coastal forests of south-eastern Tanzania. These trees are used to supply enrichment planting in local community forests and national forest reserves, restoring previously over-exploited forest patches to increase total tree volume, economic value, and thus potential benefits to communities. In the first five months after starting the nursery, MCDI helped rural communities in three villages to plant more than 2,000 seedlings. In 2015 alone, MCDI raised more than 10,000 tree seedlings. 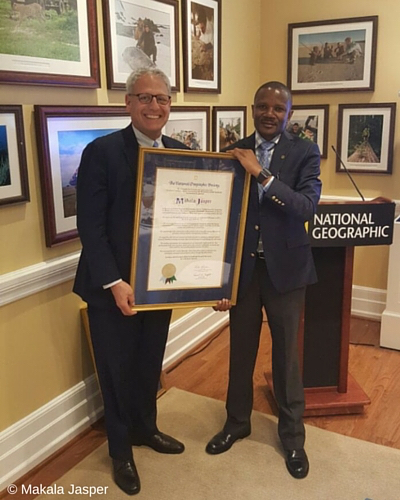 In 2016, following a nomination by CLP, Makala won the National Geographic Society/Buffett Award for Leadership in African Conservation, and was honoured for his “outstanding accomplishments” at an awards ceremony attended by HE Wilson Masilingi, Tanzania’s Ambassador to the United States, at the National Geographic Society’s headquarters in Washington DC. This award came hot on the heels of another prestigious prize for Makala. 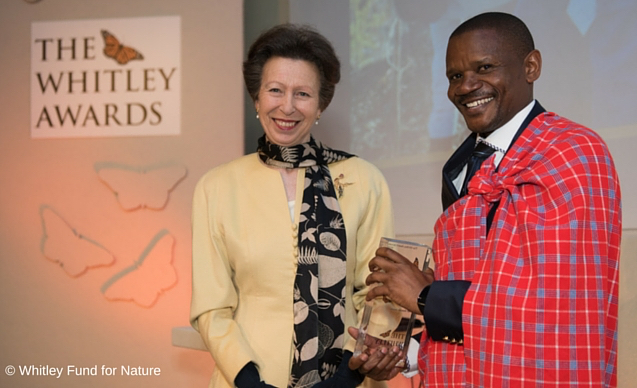 In April 2016, he attended a ceremony in London to accept a Whitley Fund for Nature Award, presented by HRH The Princess Royal. These awards, familiarly referred to as the ‘Green Oscars’, recognise the efforts of influential conservationists who use their research on threatened species to raise awareness about the issues they face and build lasting programmes to protect them. The prestigious awards recently bestowed on Makala have not only raised the profile of his organisation and its vital work, but also provided crucial financial support for future projects, thereby opening up new avenues to explore: "It means MCDI will expand its work to an entirely new area - the first step to connect existing community forests and their wildlife with one of Africa's largest protected areas." Makala has always been keen to acknowledge CLP’s contribution to these achievements: "Through CLP support, [the organisation] was transformed from a student research expedition into a practical conservation organisation in 2004. 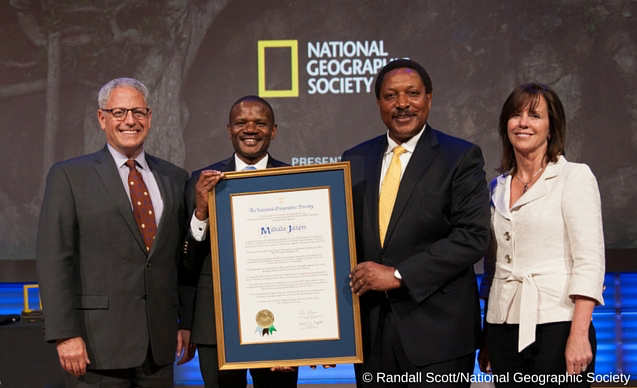 Today it is one of the most successful conservation organisations in Tanzania. With these two awards, your support and others partners' support, I am now inspired and encouraged to do great things in the future. I love what I am doing and am privileged to be working with you." It seems clear that MCDI – and Makala – have no intention of resting on their laurels. I am now inspired and encouraged to do great things in the future. I love what I am doing and am privileged to be working with you.